Say, you know those annoying 'check back soon!' and 'exciting news coming soon!' comments I've posted on this blog? Well, the exciting news has finally arrived, and I can share the reason for those cryptic words. I have written another children's book! 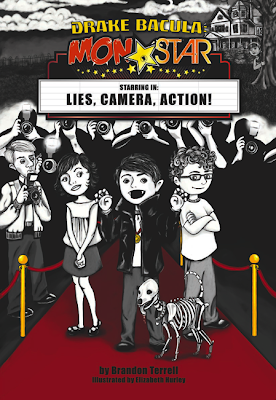 The book, titled Drake Bacula: MonSTAR!, is now available! 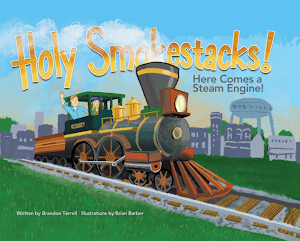 Published by Getchu Books, the book is illustrated by the talented Elizabeth Hurley. Drake is a chapter book written for grades K-3. It is available through the publisher, through Amazon, or through the distributor, BCH. However, the best way to get a copy of the book is to get it straight from the source: yours truly! I will be setting up a way to order books online, and I will gladly sign each copy (personalized, if you'd like!) before sending them out. I will have more information about this when it's available. It's the easiest way to get a hold of your own, personal copy of the book. Thanks for all of the support, guys. I am so very excited for this book! Howdy! Been a while since the last post, and this is kind of last minute, so for that I apologize. 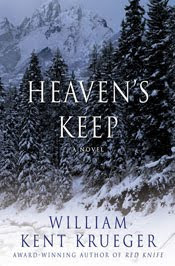 The author of the fantastic series of Cork O'Connor mysteries, William Kent Krueger, will be signing the latest book in the series, Heaven's Keep, tonight at the best little mystery shop in the world, Once Upon a Crime! If you're unfamiliar with the books, Krueger's series follows former police chief Cork O'Connor of Aurora, Minnesota. The books perfectly blend the beauty of Northern Minnesota's landscape, the history and culture of the Native Americans living there, and the love of one man for his heritage and family. Keep is the ninth book in the series, and I must say, simply reading the synopsis on Krueger's site broke my heart a little. So check it out. I've met the author a couple of times, and he is a genuinely nice man. I cannot make it to the signing tonight (which bums me out), but thankfully, tomorrow night, Mr. Krueger is signing at the Barnes and Noble in Roseville. I will, of course, be bringing the copy of Keep that I plan to purchase at Once Upon a Crime this afternoon. More excitement coming soon, I swear!